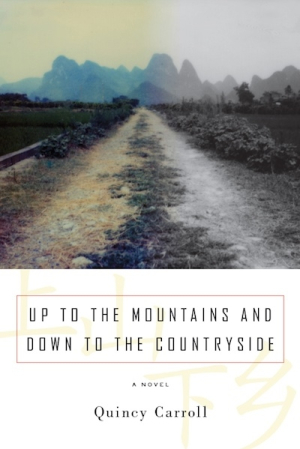 "Up to the Mountains and Down to the Countryside" tells the story of two Americans (one an elderly deadbeat, the other a young idealist) teaching English in rural China. Over the course of the novel, these two characters fight to establish primacy in Ningyuan, a remote town in the south of Hunan, with one of their more overzealous students, Bella, caught in between. In the end, however, they realize that the country might not be big enough for both of them.